To address this challenge and build an assisted-living center on the reservation, the Fond du Lac Band called upon DSGW Architects. 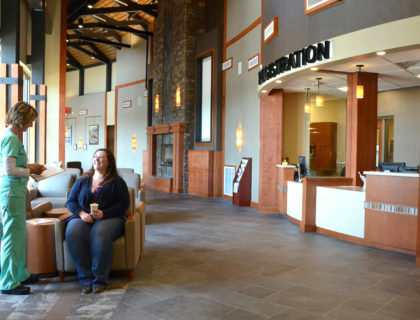 “They came to us with the idea to build a prototype assisted-living facility that could, if successful, be replicated throughout their reservation,” said Randy Wagner, DSGW partner. 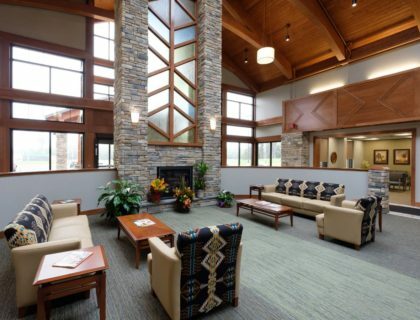 The idea was to build a facility that was more residential in nature—instead of a traditional nursing home—to provide a welcoming, warm, and familiar environment for elderly tribal members. Using their expertise in medical facility design, DSGW staff created the Fond du Lac Band’s first on-site housing center for seniors. The result is a new, ten-room assisted living facility, conveniently located on reservation land. “Our members now have a place to go, right down the road from their families and friends,” said Smith. Each room in the facility offers a kitchenette, living area, private bedroom, walk-in closet, and accessible bathroom. Further amenities include an activity area, a family great room for dining, a central laundry facility, and office space for the reservation’s home health care nursing program. Finally, the new facility offers a beautician area, a residential kitchen for making goodies or an ice cream treat, and a commercial kitchen large enough to serve the existing building plus a possible future addition. 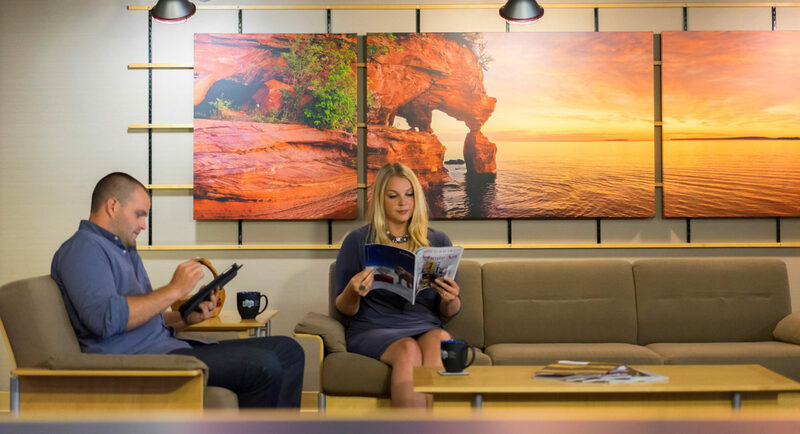 The culture of the tribe will be carried throughout the facility by showcasing artwork, such as artifacts and photos, from local artists.